If you’re still wondering, the answer to my quiz of last week is none other than that Byzantine Beatle, Maurice A. Robinson. Maurice also happens to be the first participant in what I hope will be an ongoing series of interviews with text critics. In the past, we have interviewed Bart Ehrman, Dan Wallace, and Stanley Porter and these were well received. So I thought we should continue the tradition. I don’t have any detailed criteria by which to pick our interviewees (suggestions welcome), but I can say I am quite pleased with those who have already agreed to be interviewed. There are many familiar names on the list, but also some lesser-known or younger scholars that I am excited to introduce to our readers. So without further ado, I present our first interview. As a regular commentator and sometime contributor at the ETC blog, Maurice Robinson is no stranger to regular readers. But despite the blog’s great fame, he is most well-known for his work editing and defending the Byzantine textform. He teaches at Southeastern Baptist Theological Seminary in Wake Forest, NC where he was recently named research professor of New Testament studies. He’s been interviewed a number of times before, but I thought there were a few things those interviews didn’t cover, especially the final question of part 2. Enjoy! Peter Gurry: Many readers might be surprised to learn that you worked with Kenneth W. Clark during your master’s work. Can you tell us how that relationship has (or hasn’t) influenced your own view of textual criticism? [Maurice A. Robinson] I began studying with Clark (1898–1979) in 1971 during my MDiv program at Southeastern Baptist Theological Seminary (where I currently serve as Research Professor); this was arranged by the then text-critical professor here, since he said I already knew more about the subject from previous self-study than did he. Clark at that time was already emeritus from Duke, having retired from teaching in 1967, but he genuinely was excited about my interest in the field, since at that time very few students anywhere were becoming interested or involved in the subject. As a result, Clark and I began and maintained a very good relationship from 1971–1977 (when I moved to Texas for my PhD studies), despite our evangelical versus liberal theological differences. My position at that time was one of reasoned eclecticism, basically following the Metzger-style theory and praxis; Clark, however, in various of his publications had already raised serious questions as to whether that or any type of eclectic method really represented a solution rather than a symptom (a theme later discussed by Epp in 1976). Clark therefore strongly encouraged me to study, heavily read, and critically examine various alternative views, including those favoring a primarily external and transmissional approach to the text as opposed to those theories that placed a more subjective emphasis on internal criteria (including both thoroughgoing and reasoned eclecticism). In essence, what Clark strongly suggested was a return back to primarily external principles such as espoused by Westcott and Hort, but without their unsupported speculative historical baggage regarding a “Syrian recension” being the creative cause of the Byzantine Textform. Andrew Bernhard, independent scholar, has produced new evidence that once again demonstrates the modern origins of the Gospel of Jesus Wife (GJW). For the technical details, I refer the reader to Bernhard’s analysis, here. I am a huge fan of Michael Grondin’s online resources. He has been a trailblazer in terms of making resources related to the Gospel of Thomas and related topics accessible online for more than a decade. As Bernhard argued in 2012, Grondin’s interlinear translation of the Gospel of Thomas was particularly helpful to the forger of the GJW in creating a patchwork text in which Jesus says “my wife.” Several facets of the Coptic clearly were gleaned from the Grondin PDF, indicating that the GJW itself could be no older than the PDF uploaded in 2002. A modern owner of the GJW wife provided Karen King with a transcription and translation of the papyrus, which is now available online. Bernhard has shown that this transcription is not itself a transcription and translation from the GJW fragment, but clearly a reiteration of Grondin’s PDF. The cumulative weight of the agreements is startling and irrefutable. I mention only one of many agreements, here, as it reflects a Greek term. The third line of the GJW uses the Greek-Coptic loanword derived from ἀρνέομαι. Both Grondin and the Owner’s Translation render this loanword as “abdicate,” a gloss not found in, for instance, the LSJ or BDAG. This Owner’s Transcription was prepared after the inscription of the GJW papyrus, since it cites the forger’s own errors. The owner has apparently photographed a print-out of this document with a cell phone. The paper has creases and is bowed at the top and bottom. A few characters are cut off of one side. The manila coloring derives from indoor lighting on normal printer paper. There is a small hole or blemish in the midst of the transcription. I would guess that the forger has used the ASCII font CS Coptic Manuscript. This document was not prepared by Peter Munro in the 1980s on a typewriter! The document includes numerous typos, some of which indicate a weak knowledge of Coptic. The file creation date has been wiped. One can only read the XMP version (Adobe XMP Core 4.1-c036 46.276720, Mon Feb 19 2007 22:13:43). Please let me know if you can make anything of this. The wording of the title is definitely leading since the text contains no clearly Gnostic material, “Coptic Papyrus, Sahidic, Gnostic Gosple (sic), probably 3-5th Centruy (sic) A.D.” This could be a synthesis of popular opinion on the Gospel of Thomas, or could reflect opinion on the Gospel of Judas, which was big around 2008. I would suggest that the GJW emerged from the latter hype — and probably after the death of Peter Munro (2 Jan 2009). As already mentioned, this is sloppy on many levels and suggests that the forger has a weak command of Coptic at best, and probably no experience with editions of ancient manuscripts. I always wondered if the forger had any riddles built into the seemingly unreadable verso. The Owner’s Transcription does not offer any clues to what was written on the verso. This only proves beyond question what essentially all specialists already had concluded. If we are to continue the discussion with this forged papyrus, as has recently been suggested, then the next step is pursue the remaining documents to attempt to identify the forger. Who knows what the other documents may hold in terms of clues? In particular, I would like to see the handwritten note, which probably preserves the forger’s hand. If the current owner is the person mentioned in the bill of sale, then he/she has some interesting questions to answer. I enthusiastically thank Karen King for uploading the Owner’s Transcription, and would like to request that the remaining documents (bill of sale, handwritten note and typed note) also be shared, if possible. My PDF outline of the Owner’s Transcription. New Article in the TC Journal on "The Earliest Corrections in Codex Sinaiticus"
As one of the editors, I am delighted to announce that a new fine article has been published in the current volume of TC: A Journal of Biblical Textual Criticism. Abstract: Previous research into the scribal corrections of Codex Sinaiticus—also labelled as “S1”—has yielded fruitful results, especially regarding distribution of the scribal correcting activity and the textual affinities of corrections. The present article extends our knowledge of this aspect of Sinaiticus by examining scribal corrections in the book of Revelation, especially with regard to their nature, authorship, and textual affinities. It is argued that the palaeographical and textual evidence suggests that, unlike other previously studied portions of Sinaiticus, the text of Revelation was most likely never subjected to a secondary review in the scriptorium. No hints. I will be posting an interview with this text critic next week. With the help of Pete Malik, I’ve put together the following bibliography of scribal habits. It is noticeably weighted toward the Greek New Testament, but I wouldn’t mind expanding it beyond that. I should add that Pete and I used slightly different formatting and I have not bothered to align them. Let me know what we’re missing either by email or in the comments and I’ll try to add them to the main list. Aland, Barbara. “Das Zeugnis der frühen Papyri für den Text der Evangelien: diskutiert am Matthäusevangelium.” In The Four Gospels 1992, edited by F. van Segbroeck, C. M. Tuckett, G. van Belle, and J. Verheyden, 325–335. BETL 100. Leuven: Leuven University Press and Peeters, 1992. ———. “Kriterien zur Beurteilung kleinerer Papyrusfragmente des Neuen Testaments.” In New Testament Textual Criticism and Exegesis: Festschrift J. Delobel, edited by A. Denaux, 1–13. BETL 161. Leuven: Leuven University Press and Peeters, 2002. ———. “Neutestamentliche Handschriften als Interpreten des Textes? P75 und seine Vorlagen in Joh 10.” In Jesu Rede von Gott und ihre Nachgeschichte im frühen Christentum, edited by Dietrich-Alex Koch, Gerhard Sellin, and Andreas Lindemann, 379–397. Gütersloh: Gütersloher Verlagshaus Gerd Mohn, 1989. ———. “Sind Schreiber früher neutestamentlicher Handschriften Interpreten des Textes?” In Transmission and Reception: New Testament Text-critical and Exegetical Studies, edited by Jeff W. Childers and D.C. Parker, 114–122. TS 3.4. Piscataway: Gorgias Press, 2006. ———. “Was heißt Abschreiben? Neue Entwicklungen in der Textkritik und ihre Konsequenzen fur die Überlieferungsgeschichte der frühesten christlichen Verkündigung.” In Mark and Matthew I: Comparative Readings: Understanding the Earliest Gospels in their First Century Settings, edited by Eve-Marie Becker and Anders Runesson, 55–76. WUNT 1.271. Tübingen: Mohr Siebeck, 2011. ———. “Welche Rolle spielen Textkritik und Textgeschichte für das Verständnis des Neuen Testaments? Frühe Leserperspektiven.” NTS 52 (2006): 303–318. Ashton, June. Scribal Habits in the Ancient Near East: C. 3000 BCE to the Emergence of the Codex. Mandelbaum Studies in Judaica 13. Sydney: Mandelbaum Publishing, 2008. Burleson, Douglas Y. “Case Studies in Closely Related Manuscripts for Determining Scribal Traits.” PhD diss. New Orleans Baptist Theological Seminary, 2012. Colwell, E. C. “Hort Redivivus: A Plea and a Program.” Pages 148–71 in Studies in the Methodology in Textual Criticism of the New Testament. NTTS 9. 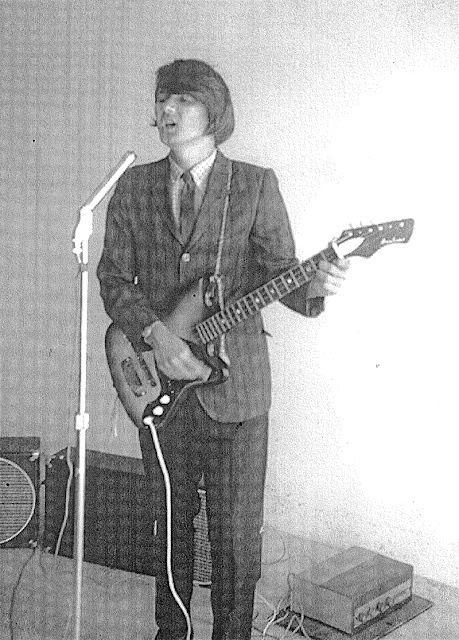 Leiden: Brill, 1969. ———. “Method in Evaluating Scribal Habits: A Study of P45, P66, P75.” Pages 106–24 in Studies in Methodology in Textual Criticism of the New Testament. NTTS 9. Leiden: Brill, 1969. Dain, Alphonse. Les manuscrits. Collection d’études anciennes. Paris: Belles Lettres, 1949. His services to the exact knowledge of the New Testament are already better and more widely understood than they were a few years ago, and cannot fail as time goes on to obtain all due recognition. The moral qualities of his work as an editor, singleness of eye, unflagging care, and the persistence of faithful toil which never relaxed under discouragement, bodily weakness, or any other burden, may be left with equal confidence to sympathetic discernment. I wonder about these moral qualities (my italics). What are the moral qualities of a good editor? What difference do they make? 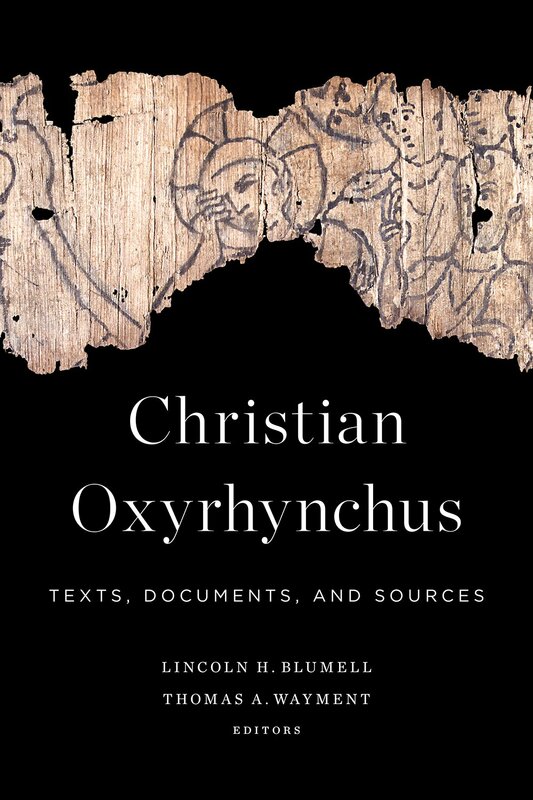 Releasing this week is what looks like a substantial new book on Christian texts from Oxyrhynchus titled Christian Oxyrhynchus: Texts, Documents, and Sources by Lincoln H. Blumell and Thomas A. Wayment. 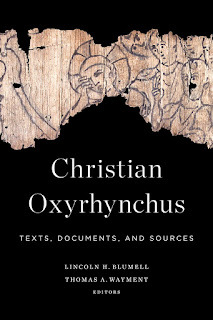 Blumell and Wayment present a thorough compendium of all published papyri, parchments, and patristic sources that relate to Christianity at Oxyrhynchus before the fifth century CE.Christian Oxyrhynchus provides new and expanded editions of Christian literary and documentary texts that include updated readings, English translations—some of which represent the first English translation of a text—and comprehensive notes. list “E. Nestle” as the editor. Just recently, I came across Eberhard Nestle’s report in the Expository Times on the first edition of his Greek New Testament. I found this by way of Warren A. Kay’s helpful article “The Life and Work of Eberhard Nestle” (in The Bible as Book: The Transmission of the Greek Text, ed. Scot McKendrick and Orlaith O’Sullivan, , pp. 187-199). I do, however, have a problem with Kay’s description of the article as a “glowing review of the anonymous Greek New Testament [which] was written by none other than Nestle himself” (p. 193; emphasis mine). In the first case, it seems to me that this is much more of a report than a review and second, while it is true that Nestle is not listed on the title page of his first edition, his name is clearly given as the editor of the various formats advertised at the back of the book (see image). So I don’t think it’s right to call it anonymous. 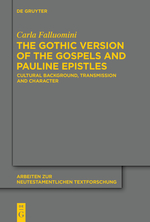 I have just received Carla Falluomini’s fine monograph on The Gothic Version of the Gospels and the Pauline Epistles: Cultural Background, Transmission and Character published by De Gruyter in the ANTF series (vol. 46), edited by D. C. Parker and Holger Strutwolf. In the first chapter, “Wulfila and his context,” Falluomini re-examines the historical and cultural context of the Gothic version. She concludes that “the territories in which Wulfila lived, north and south of the Lower Danube, were characterised by the coexistence of several cultures and languages” which is reflected in “Wulfila’s triangual education, in his alphabet devised on the basis of Greek and Latin letters and runes, and in the vocabulary of his version, which includes Greek and Latin terms.” The Behind his translation lay both a missionary purpose, as well as an attempt to elevate Gothic to the rank of other languages, which in extension would reinforce the ethnic and religious identity of his people from the mid-fourth century and later. The second chapter deals with the witnesses to the version. For the Gospels: Codex Argenteus, the Ambrosianus C, the Gissensis; For the Pauline Epistles (excl. Hebrews): Codex Carolinus, Ambrosianus A+ and Ambrosianus B. In addition, a few other witnesses testify to the circulation and usage of the version: the tablet of Hács-Béndekpuszta (now lost), the recently discovered Codex Bononiensis (see our earlier reports here and here), the Gotica Vindobonensia in Gothic script and the Gotica Parisina in Latin script. Falluomini concludes that Codex Argenteus is an example of a high class of book production (indeed, Sweden’s foremost book treasure). The elegant bilingual Carolinus and Gissensis are less accurate in their writing, but, nevertheless, are also the products of well organized scriptoria. Argenteus, Carolinus and Ambrosianus A+ share a number of paleographical innovations. Falluomini thinks Ravenna is the most probable place for their production. The fourth chapter deals with linguistic and stylistic features. First of all, the Gothic version is very literal, following a Greek (lost) Vorlage. Thus, it is often possible to determine the underlying Greek text; a good thing for textual criticism. At the same time, Wulfila tried to be intelligible to his audience. However, some of his loan words or creations may have been difficult to understand for the Goths, but they “may have found a kind of justification in the aura of mystery surrounding the new cult.” It is also possible, Falluomini adds, that the translation formed a Sondersprache which was different lexically and syntactically from the common Gothic language. The presence of glosses in Gothic MSS may reflect that some words were obsolete. On the other hand, the sixth century Codex Bononiensis, probably part of a sermon or liturgical prayer, contains citations from the Gothic version suggesting that the Wulfilian Gothic was understood and in use. In the fifth chapter, the author discusses the Greek Vorlage and the Gothic textual transmission. A large part of this chapter reviews the history of research in this area. The Gothic text agrees primarily with the Byzantine text type. Some readings, however, agree with the “Western” or Alexandrian texts. The “Western” readings may either have been present in Wulfila’s Greek Vorlage, or, as the dominant theory suggests, they entered into the version during its transmission through a revision on the basis of the Latin version(s). The role of the Latin version(s) in the Gothic transmission is a complex problem. Falluomini discusses three possibilities: (1) Wulfila used a Latin model in addition to a Greek Vorlage; (2) the Gothic text underwent a double process of Latinisation (first at the time of translation, and subsequently in the west during the copying of Gothic MSS; (3) the original translation was subject to Latin influence only in the western milieu. In the sixth chapter, the author goes on to discuss the readings of the Gothic version in relation to the Byzantine text and offers her own textual analysis . If the Byzantine text is seen as a slowly developing tradition (faster in the Gospels than in the Pauline Epistles), then the non-Byzantine readings of the Gothic versions may be interpreted as conservative elements “reflecting a mid-fourth century Greek text in which the process of standardization was still far away.” This is an important conclusion which has implications for the future study of the Byzantine text. Among other things, Falluomini’s textual analysis lists 44/116 (38%) non-Byzantine readings in Matthew and 147/335 (44%) non-Byzantine readings in John. The greatest part of these readings are shared with “Western” witnesses. On the other hand, only 8/116 (7%) of the readings in Matthew and 19/335 (6%) of the readings in John are supported exlusively by “Western” witnesses. In Romans there are 63/120 (53%) non-Byzantine readings and 40/82 (49%) in Galatians. Further, there are 14/120 (12%) readings in Romans attested only by “Western” witnesses, and 17/82 (21%) in Galatians. 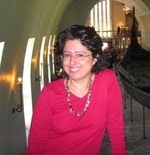 Falluomini suggests that the following readings can be attributed to Wulfila: (1) readings supported by Byzantine MSS; (2) non-Byzantine readings which are not “Western” (and therefore not suspected to reflect Latinisation); (3) non-Byzantine readings supported not only by “Western” witnesses. Thus, doubts remain when Gothic readings agree only with Latin witnesses, with or without the support of Greek “Western” witnesses (D F G). Further, she concludes that, since the Gothic version is so literal, it is particularly valuable for tracing the history of the oldest stage of the Byzantine text. There are two appendices. Appendix I lists all significant readings of the Gothic Gospels of Matthew and John, and in Romans and Galatians. Appendix II contains a table of the main codicological features of the Gothic MSS; information about the Long Ending of Mark; and a transcription of the so-called praefatio to the Codex Brixianus. The author is to be congratulated for this fine work! 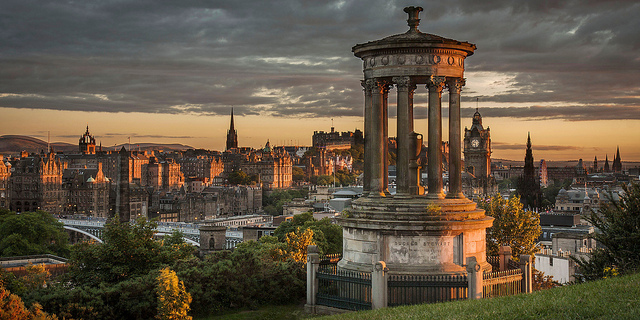 The Annual Meeting of the British New Testament Society (BNTC) is being held this year at the University of Edinburgh from 3–5 September and there are a number of text critical papers on offer. There are enough, in fact, to make you wonder why there isn’t a dedicated textual criticism section. Abstract: Although much scholarly attention has focused on the Christian scribal practice of the nomina sacra, the reverential abbreviation of divine names, this study explores an analogous phenomenon within early NT manuscripts with respect to theologically significant numbers. In the same way that sacred names could be distinguished by abbreviation, Greek numbers could be and were written in two distinct forms (as longhand words or alphabetic numerals). The aim of this study is to identify patterns and/or examples that suggest numerical symbols ever served a theological, devotional, or mystical function comparable to the nomina sacra. For instance, were alphabetic numerals ever reserved by copyists for special referents? Do any numerical symbols bear a special visual significance over against the longhand words? 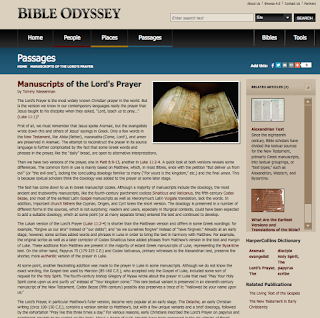 Recent studies have shown that numerals were indeed used in such ways in Christian documentary papyri from Egypt, especially in private correspondence between churches (such as the cryptic use of 99 to be mean “amen”), but no similar investigation of Christian literary texts has been conducted. Several examples of possible “numeri sacri” in manuscripts such as P45, P75, and Codex Sinaiticus are examined with support from external testimony of numerological exegesis (patristic and documentary), suggesting that the term “numeri sacri” might be a helpful category. While a handful of numbers might qualify as such, it will be shown that they were never developed into a coherent scribal system in the way that the divine names were. This allows a remarkable comparison between early Christian conceptions of divine names/titles and theologically significant numbers, at least as they were represented in early scribal conventions. Abstract: The proper consideration of the types of errors scribes make has been a longstanding aspect of New Testament textual criticism. Designated “transcriptional evidence” by F. J. A. Hort, such evidence is generally taught as a key part of internal evidence. 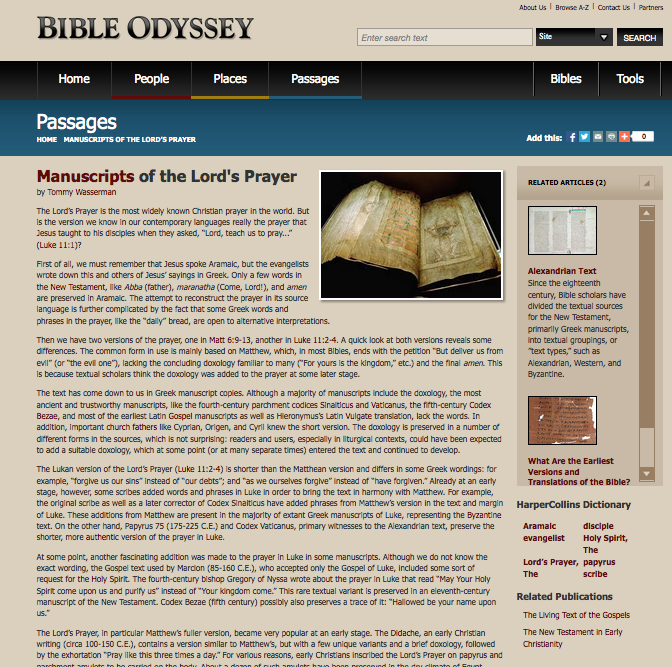 Since the pioneering work of E. C. Colwell and followed recently by James R. Royse and others, the study of such scribal habits has been steadily advanced by careful attention to so-called “singular readings,” that is, readings unique to a single manuscript. One of the conclusions of such study has been a proposed reversal of the principle lectio brevior potior (prefer the shorter reading) since such singular readings show that early scribes tended to omit text more often than they added it. But the use of singular readings has not gone without criticism. In particular, questions have been raised about how representative singular readings are of a scribe’s work and, more importantly, of the tendencies of the textual tradition at large. More recently, the Coherence-Based Genealogical Method (CBGM) has been suggested as an appropriate corrective to the use of singular readings for understanding scribal practices because it identifies possible ancestors for each textual witness. But no concerted effort to apply the CBGM in this way has yet appeared. After offering a short summary of prior research, this study will apply the CBGM to the book of James using the data from the Editio Critica Maior to see what it reveals about the habits of scribes during the first millennium of transmission. The results will be compared with previous conclusions gained from the study of singular readings. In conclusion, I offer some thoughts on the strengths and weaknesses of each method and their implications for the canons of internal criticism. Abstract: The Institut für Septuaginta und biblische Textforschung at the Kirchliche Hochschule Wuppertal/Bethel is currently in the process of constructing a new Greek critical edition of the book of Revelation, with the hope that the edition will be available in 2023. The main text of the new edition and a condensed version of its apparatus will eventually become the text printed in the Nestle-Aland edition. This paper serves as a progress report, describing the various stages of the project, demystifying the process of editing an edition, and presenting an overview of the manuscript tradition of Revelation and its various text types. Additionally, we highlight the importance of this long-term project for numerous areas of critical concern in Apocalypse studies, including textual history, exegesis and interpretation, reception history, Byzantine art history, and scribal practices. The Editio Critica Maior project is an almost exclusively German enterprise and we hope to raise awareness of continental Apocalypse research in the Anglophone world. Abstract: In his seminal work on the textual history of Revelation, Josef Schmid focused primarily on the Greek witnesses, amongst which he identified four distinct textual groupings: A C, P47 ℵ, Andreas and Koine. Versional support was cited only sporadically, and only to the extent it appeared in then available critical editions. Even so, Schmid remarked that, among other witnesses, the P47 ℵ group is followed by both Coptic versions. This relationship, however, has never been analysed or even confirmed. Recent research into P47 has identified various peculiar agreements with the Sahidic version, agreements which necessitated further investigation. The present paper aims to outline basic methodological issues as well as preliminary results of such investigation. I have just returned from the SNTS 70th annual conference in Amsterdam, where we had lots of good presentations. I might report on them later on. As usual, a number of publishers exhibit their books and even with conference discount, some of the books are extremely expensive for a private person. We have discussed this problem before on this blog (e.g., here, when Royse’s book was offered for $369). 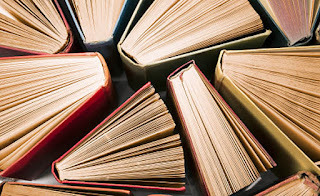 The main target group, at least for hardback and e-books from these publishers are institutions and libraries, although they now tend to offer a cheaper paperback at a later point. 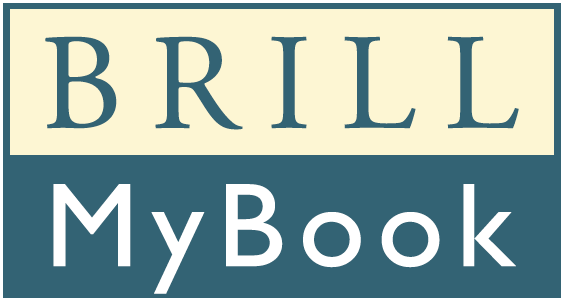 At the meeting, I noted that one of the publishers, Brill (based in Leiden), has launched a program called “Brill MyBook,” which gives users with access to a Brill E-book the option to purchase a print-on-demand paperback copy of books of their choice. So, if a student or scholar is affiliated with an institution that has purchased a Brill E-Book on the Brill platform, then they will have access to the MyBook option – they can order a personal copy – for the title acquired by their library. MyBook has a fixed price of €25/$25 per copy. Apparently, this program was launched last year, but I was not aware of it. Please share your experiences of this program in the comments.